A knout is a type of heavy Russian whip with multiple thongs. 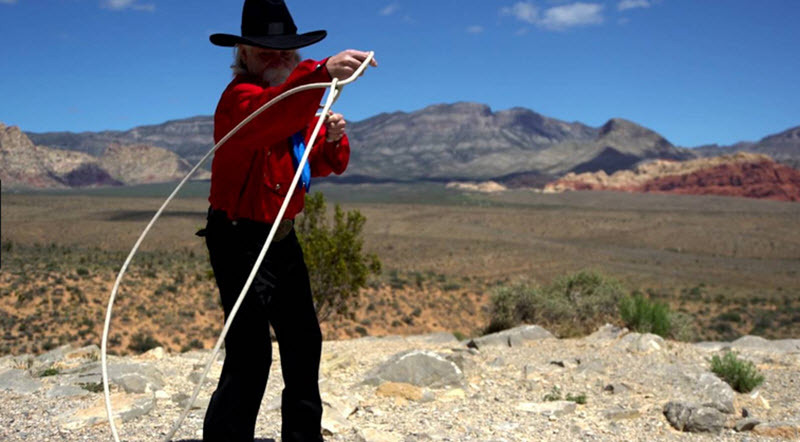 The traditional model consists of a bunch of rawhide thongs attached to a long handle, sometimes also with metal wire and/or hooks incorporated. Just like a scourge, the knout was chiefly used for severe corporal punishment. Why is it called knout? The term knout is a translitteration of the Russian word кнут, which simply means whip. The word didn’t arrive directly from Russian to the English language; it was translitterated into French first and then borrowed from the French language to the English. In Russian, кнут means whip and several different models of the кнут have been developed to suit different needs. One model consisted of several skin thongs, and each thong was plaited and interwoven with wire. The ends were loose wired. This knout was a bit similar to the British whip Cat o’ Nine Tails. Another variant was one where two rawhide lashes, each approximately 16 inches long, were connected to each other with a metall ring. The first lash was attached to a wooden handle (approximately 9 inches long) in one end and had the metal ring in the other end. To this metal ring, the second lash was attached and this lash also ended in a metal ring. To this second ring, a piece of hard lether, a few inches long, was attached. The hard leather ended in a beak-like hook. 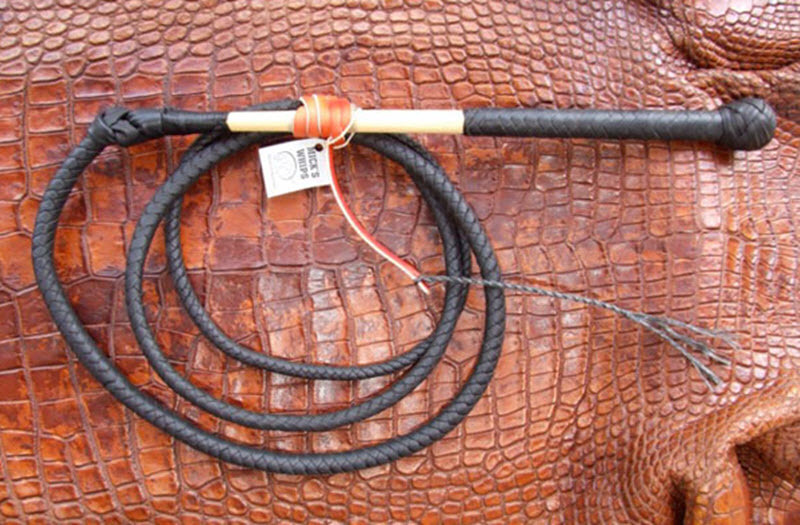 The Great Knout is a big whip where the handle is about 24 inches long and atteched to a flat leather thong that’s roughly twice the lenght of the handle. At the end of the thong, there is large a ring made from copper or brass. To this ring, a 24 inches long strip of hide is affixed. This strip is about 2 inches wide at the start, and then tapers until it ends in a point. To make the Great Knout harder, it was soaked in milk and left to dry in the sun. A pre-determined number of lashes, in accordance with the sentecing, would be administered to the back of the person. With the Great Knout, being sentenced to 20 lashes would often be lethal. There are reports of the person’s spine being broken by the Great Knout. 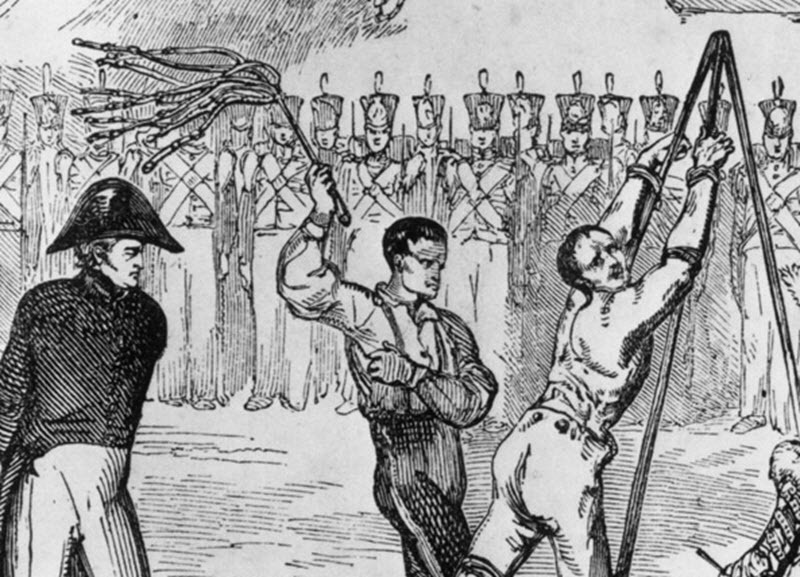 With a smaller knout, over 100 lashes was considered equivalent to a death sentence. The person administering the lashes was normally a professional who had undergone specific training. Most of them were criminals who had elected to become lashers to avoid being punished for their crimes. In 1845, Russian emperor Nicholas I abolished knouting as a corporal punishment. He didn’t abolish corporal punishment though; he just replaced the knout with the pleti – a three thonghed whip.